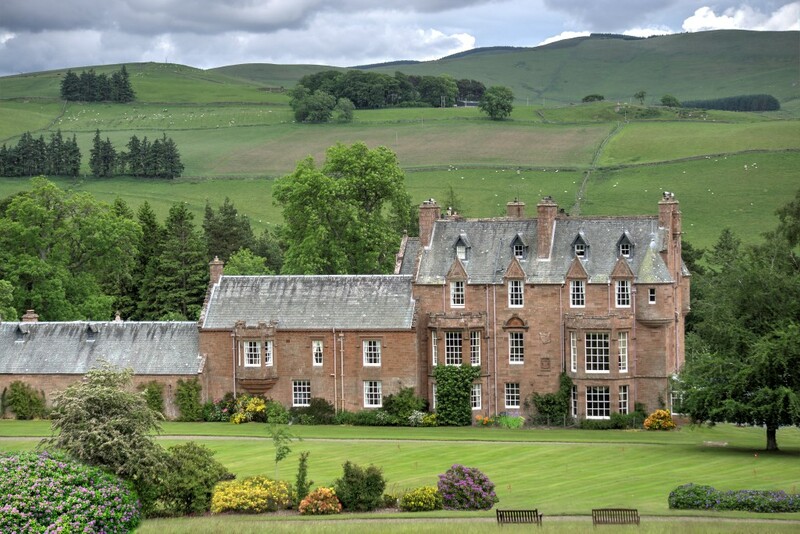 Today I am thrilled to spotlight on the beautiful Cringletie House, luxury boutique countryside hotel and Wedding Venue in the heart of the Scottish Borders. I recently visited with my family, and from the moment you meander along their winding driveway, your heart will be captured. Its welcome is incredibly warm, and its like coming home. The house was built in 1861 for family life and the homely character of Cringletie House still shines through. 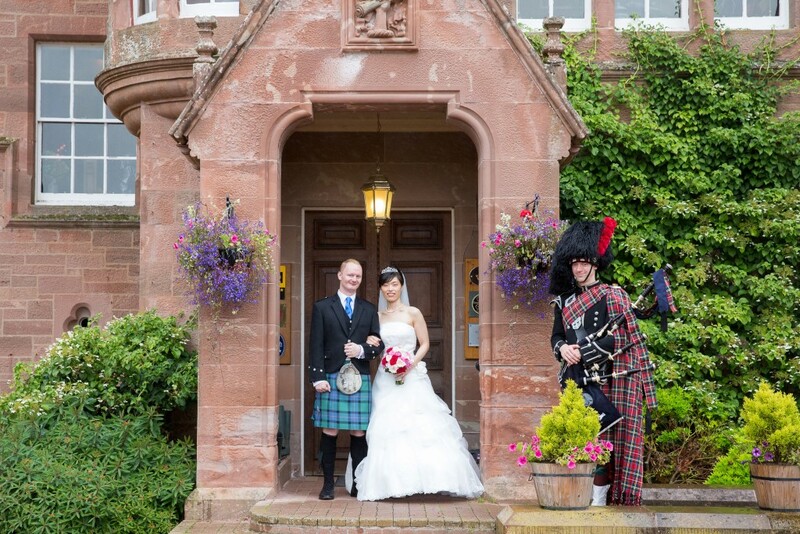 Today, this B-listed Scottish Baronial castle combines splendour with contemporary luxury, creating an amazing venue. 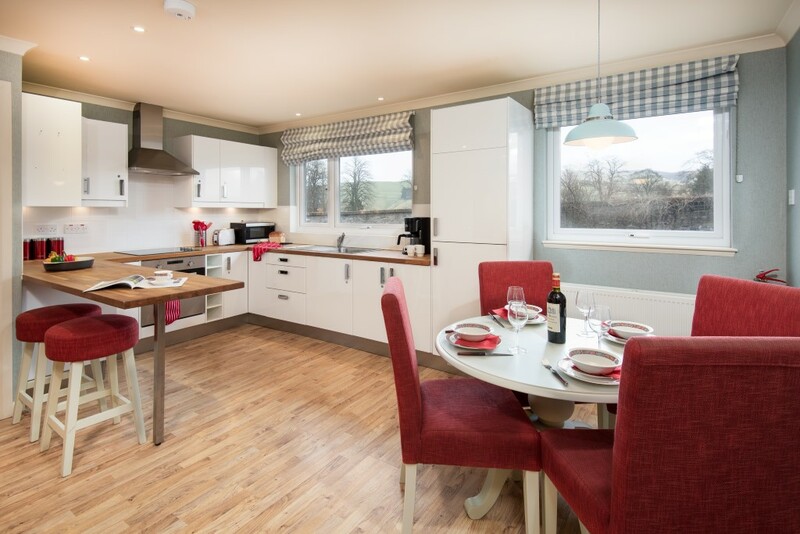 Its situated above Eddleson Water, just 40 minutes from Edinburgh and is a few miles from the historic market town of of Peebles. It offers genteel elegance in an environment steeped in peacefullness, and its a wonderful place to get away from it all. Imposing on the outside, you will spend some time just gazing at its loveliness before being ushered in enthusiastically by the wonderful staff. The reception is off to your right and and the impressive staircase leads to the public rooms on the first floor. These areas are also accessible by lift. The House is a wonderful choice for your wedding ceremony with the opportunity to exchange vows within the house or in a tranquil spot the picturesque gardens with your guests seated around to witness & to share. 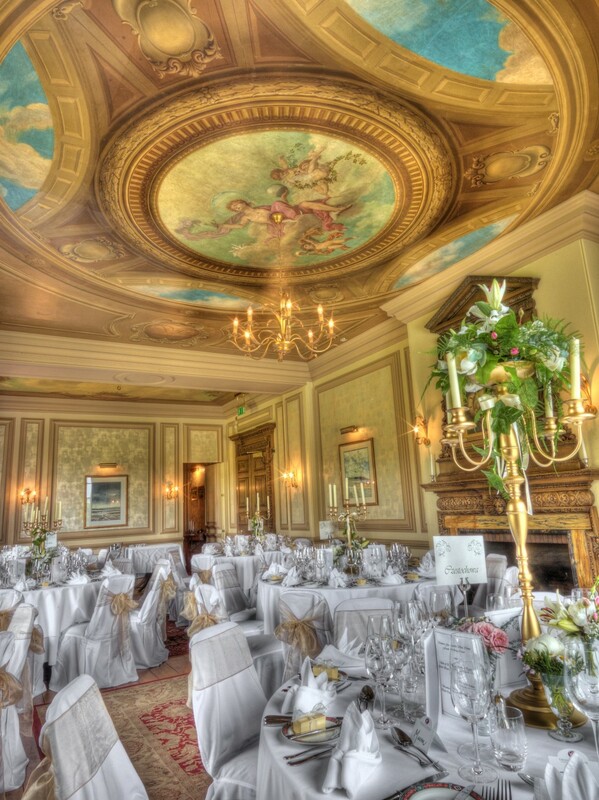 The Garden room and conservatory is the perfect setting for your ceremony with the most incredible light, and the Sutherland Restaurant with its beautiful ceiling paintings seats 100 for the Wedding Breakfast. The House is available for exclusive use at all times but if your celebration is smaller there needs to be a minimum of 2 people (in which case Cringletie will provide the two required witnesses!). 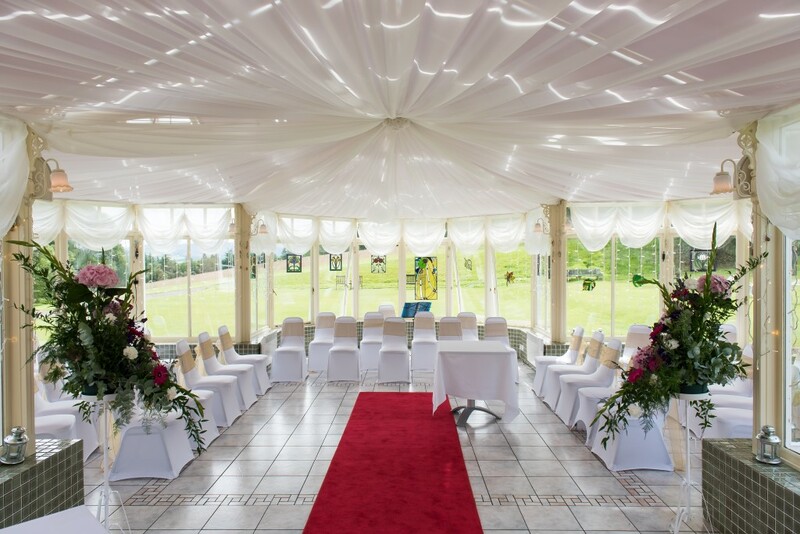 They are licensed to hold civil and religious wedding ceremonies in the house and in the grounds and can take care of every last detail to ensure your big day runs smoothly with the house being all about comfort, relaxation and personal touches. Exclusive use is available for all weddings whether small or large; however keep in mind that the maximum number is 100 for the day and some more for the evening. They offer three lovely wedding packages with menus, drinks and accessories of your choice: Ruby, Emerald and Diamond with prices from £90 – £136 per person. These three castle wedding packages offer something for everyone and couples are absolutely free to mix and match to find the package most suitable for their needs. After the ceremony, Cringleties attentive staff will be at the ready to cater for your wedding reception. The extensive grounds and all public areas are available to the couple on the exclusive use basis so after champagne and canapés you can explore the estate which offers a golden opportunity for beautiful photographs. After the sumptuous wedding breakfast the conservatory will be the perfect backdrop for dancing the night away under the stars. For all your wedding related questions they have an extensive FAQ, and you can contact them to discuss the finer details of your Big Day here., or view the Wedding Brochure. The polished accommodations include 13 ensuite luxury rooms and suites, with the historic nature of Cringletie meaning that every room is unique, with quirky original features. They have the best names too from Tranquair, Jedburgh, Stobo, Eddlestone and more each giving them an individual character. All feature flat-screen TVs, free Wi-Fi and iPod docks. Some suites add whirlpool baths, while the cottage adds an outdoor hot tub and private terrace. We stayed in two of the luxury bedrooms. They were incredibly spacious and perfect for a family, with beautiful furnishings. There was a twin room for the kids and a stunning double bedroom for myself and the Mr. The bathroom came stocked with lovely toiletries by Arran Aromatics which is (always a winner with me) and large fluffy towels. The shower was extra powerful too and was like being stood under the most amazing waterfall. Beautiful gardens, rolling fields and mountains can be seen for miles, and its a pretty glorious outlook to wake up to, whatever the weather. 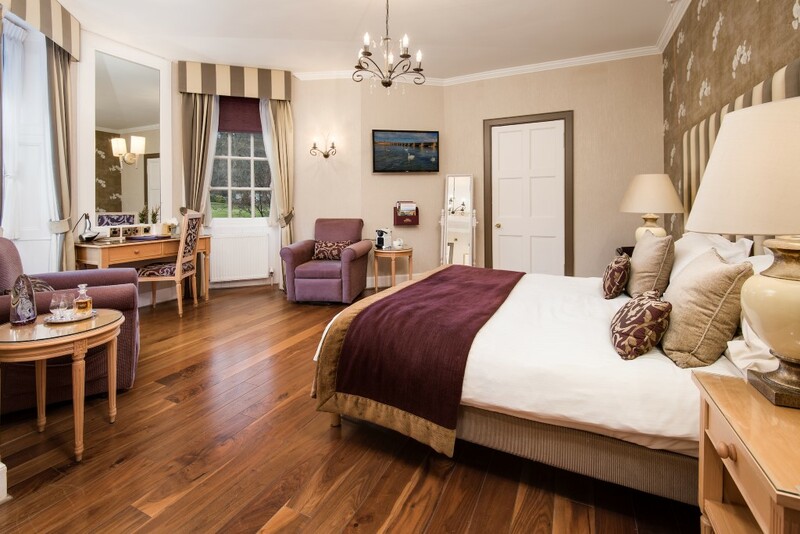 When Cringletie House was renovated some years ago they made it a fully wheelchair accessible hotel and included a range of disabled facilities. This included a ground floor room and en-suite bathroom specifically designed for wheelchair users. 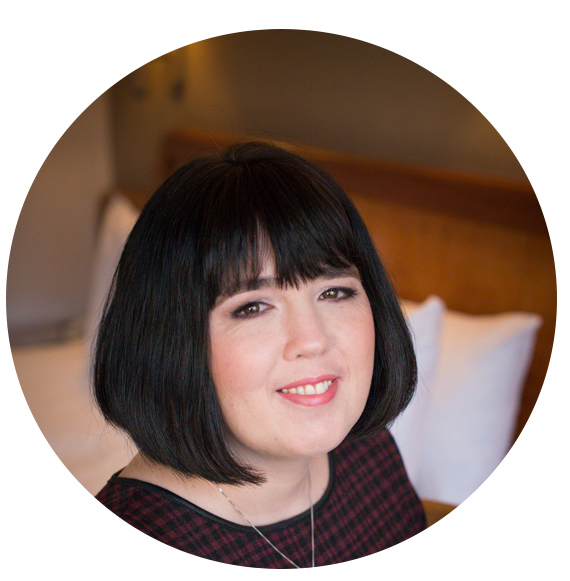 After consulting with the Scottish Deaf Association, they also installed technical equipment in the bedrooms to help guests with impaired hearing feel safe in their beds at night. These adaptions are quite exceptional for a historic building, and are the best I have seen at any Venue I have visited. There is also Ardean, a converted cottage in the grounds of the hotel which features two double (or twin) bedrooms, both with en-suite bathrooms. One ensuite has a bath and separate show, the other features a stand alone shower. 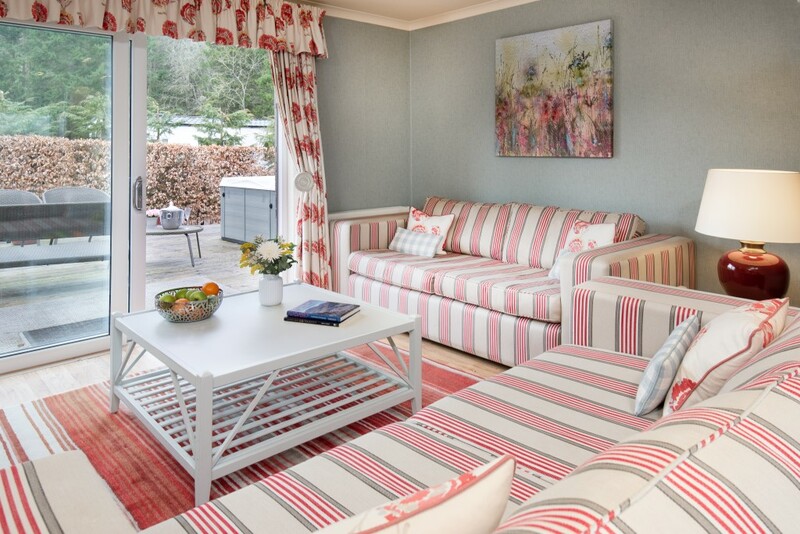 Ardean Cottage has a spacious living room, kitchen with 4-person dining table. Outside, the private terrace holds your private hot-tub, sun-loungers and stunning views to the hills. Sutherlands is a fine-dining restaurant that serves international cuisine and features views over the Scottish Borders. One of the great things about this room is as well as being absolutely gorgeous, its spacious, you don’t feel crushed by nearby tables which can so often be the case. The seasonal menu shows all that is good about local produce, and the chef works closely with local suppliers to create a top notch menu. 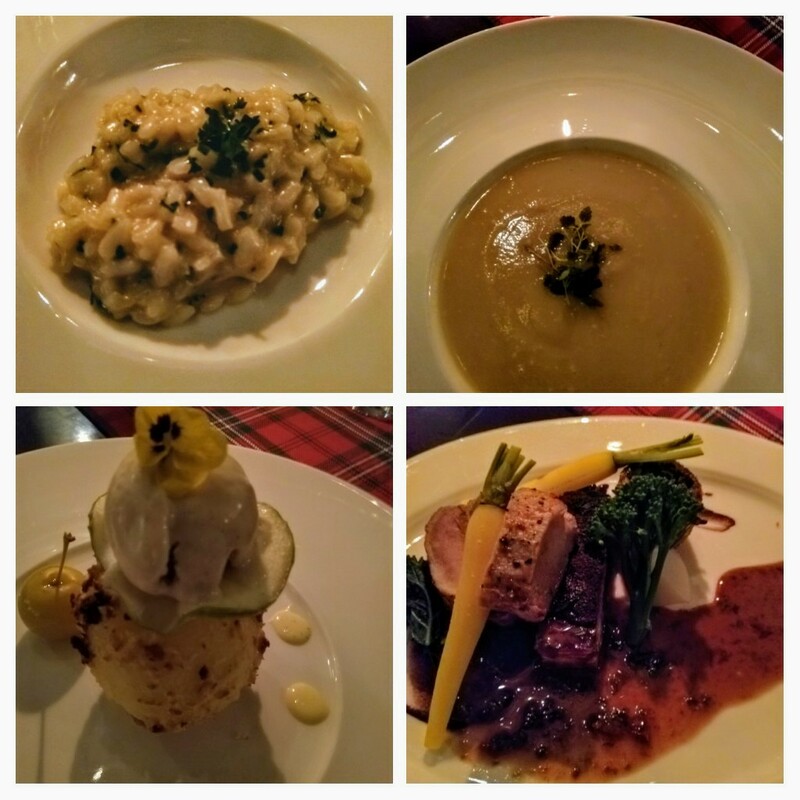 To compliment the fine food, they offer you a nice selection of wines, beers from four Borders breweries, apple juice from the area, and local gins. Our evening meal was from the Autumn Menu. To start we had an amazing amouse bouche of parmesan risotto, which was melt in the mouth delicious followed by Parsnip and Apple soup, which was a new taste sensation for me but very very nice. For my main course I had the Trio of old spot pork which consisted of slow cooked cheek, roasted fillet, crispy pork belly, glazed baby carrot, burnt apple purée which was lovely. With just enough room left I plumped for the Brioche baked apple with cinnamon ice cream, which I tried to convince myself was part of my 5 a day. For a delightful end to my meal we retired to the lounge for tea which was again lovely and warm and inviting much like the other public rooms of the hotel. To start your day the right way there is a continental breakfast laid out with cereals, fruit and a smorgasbord of cold meats. For something hot there is a hearty selection to choose from porridge and a cooked breakfast, to other wonderful treats. My husbands cooked breakfast looked amazing but fr the girl being good i plumped for some lovely porridge and it was fabulous. 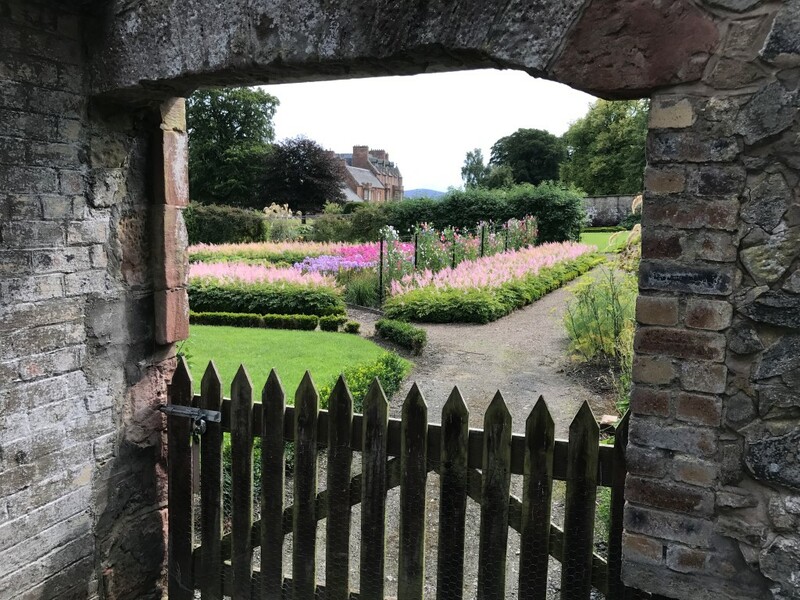 For things to do there is pitch and putt and croquet on the manicured lawns , as well as some play equipment for the children within the walled garden. The venues famous walled garden with its 400-year-old yew hedge, reputed to be the oldest in Scotland. You can also say hello to the sheep and the Highland Coos in the nearby fields, and if its muddy there is even wellies to borrow. Further afield there is golf, horse riding and fishing , and mountain biking at Glentress Forest. 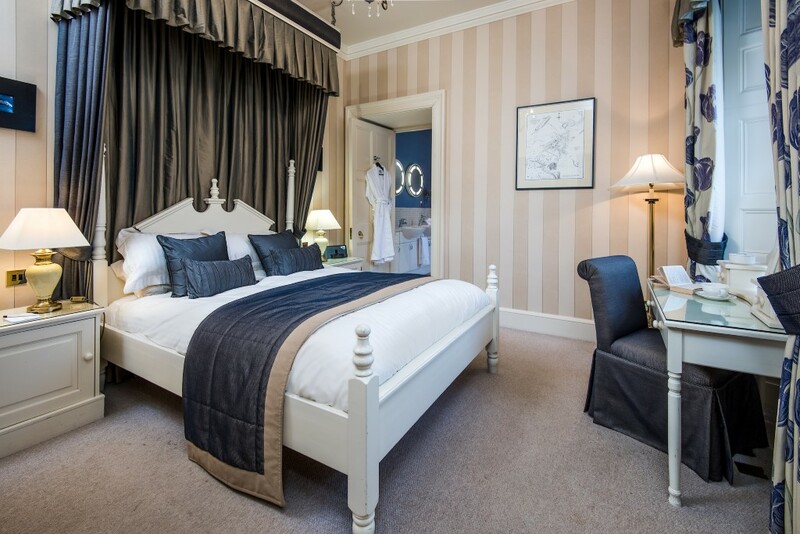 All in all I could not recommend it more, whether you are in Peebles for a lovely break, or touring the Scottish Borders, its an amazing pace to stay with incredible hospitality. 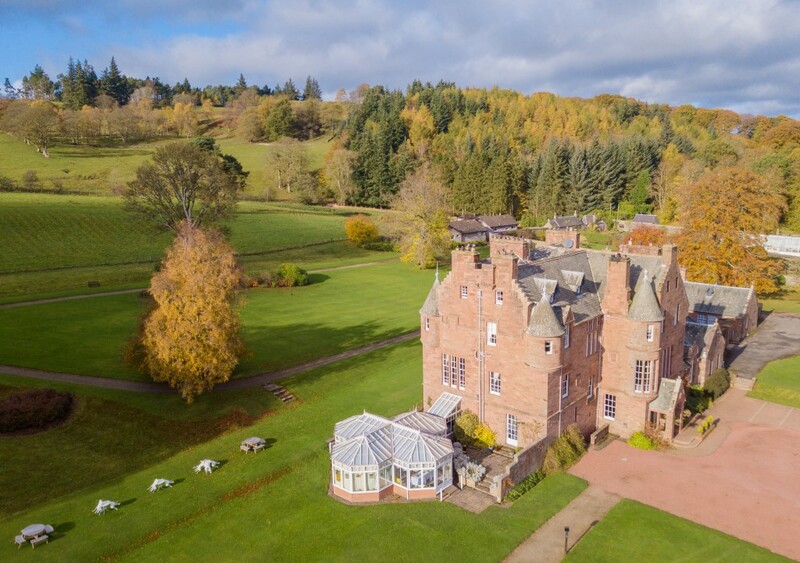 Consider it also as a Venue for your Big Day, from the huge Scottish Wedding to the romantic elopement just for two, or a lovely little Minimoon.